The edition is a detailed guide on using grid systems in graphic design and typography. 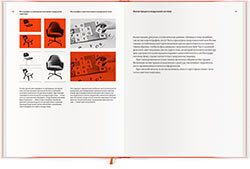 The author uses examples to talk about the use of modular grids in the design of books, periodicals, corporate printwork, exhibition spaces, provides historic examples from architecture, typography and design—all to convincingly prove the universality and effectiveness of the modular method in design. The edition is intended for a wide range of designers and typographers.